Meet Kolponomos: A Raccoon, or a Bear, or a Seal, or an Otter? Or to put it more scientifically, is Kolponomos a procyonid, an ursid, a mustelid or a pinniped? 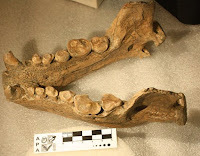 On this meager evidence, Stirton speculated that Kolponomos might belong with the Procyonidae, a family of carnivores which includes the raccoon, coati, and other living and fossil species. 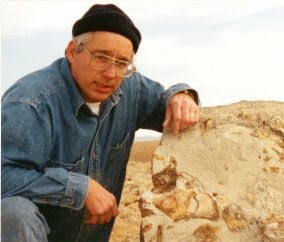 Others considered it not surely allied with any modern carnivore family; one paleontologist, Clayton Ray suggested in 1985 that it was related to Enalicarctos, the earliest pinniped. For more than 30 years Kolponomos was in limbo. 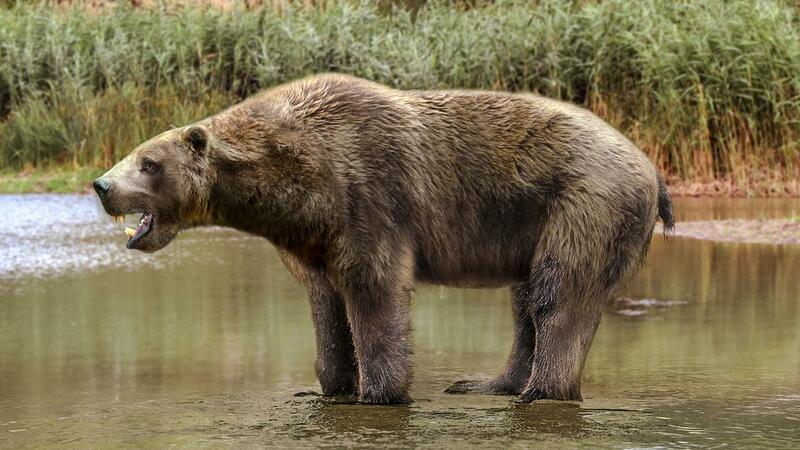 Because some scientists had considered it an arctoid, the group containing bears, pinnipeds and the extinct amphicyonidontidae, it became popularly thought of as a bear, and many reconstructions showed it as very similar to a living brown bear. 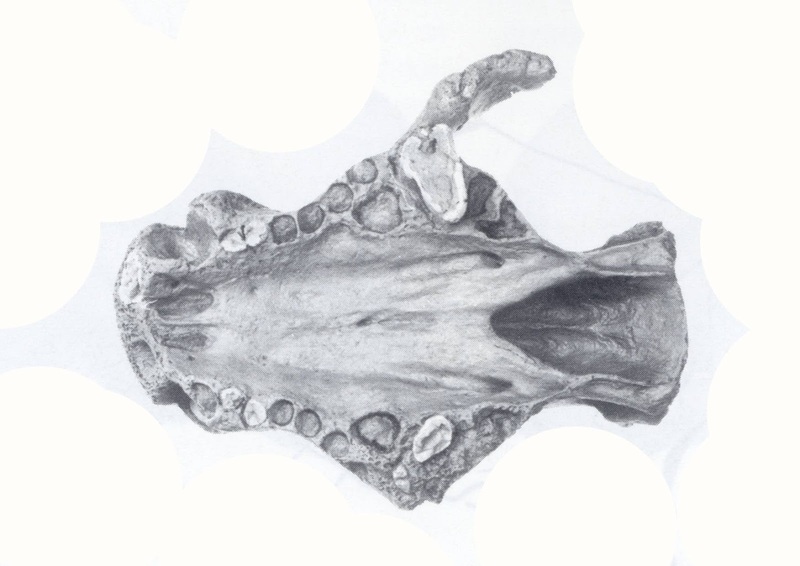 In 1994, several complete or nearly complete skulls of Kolponomus were described, including one of K. clallmatensis and one of a new species, K. newportensis. [see photos] This more complete material enabled Richard Tedford, from the American Museum of Natural History, Larry Barnes from the Los Angeles County Museum of Natural History, and Clayton Ray, from the National Museum of Natural History (Smithsonian) to propose a new phylogenetic hypothesis: Kolponomos was in fact an arctoid, placed in the family Amphicyonidontidae, but was the sister taxon to all of the pinnipeds (seals, walruses, etc). Kolponomos is close to the ancestry of seals (and all other Pinnipeds), much as Ray had suggested in 1985. But that isn't the end of the story. 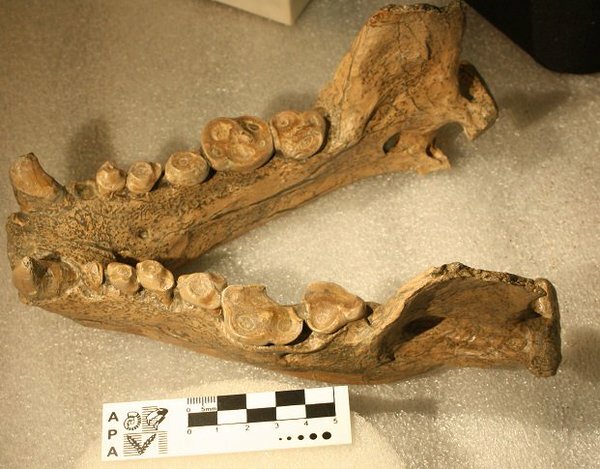 A marvelous paper was published in the Proceedings of the Royal Society B in March of 2016, by Jack Tseng, Camile Grohe and John Flynn: "A Unique feeding strategy of the extinct marine mammal Kolponomos: convergence on sabretooths and sea otters". In this paper, they used sophisticated computer modeling of the stress in the jaws of different carnivores, including Kolponomos. 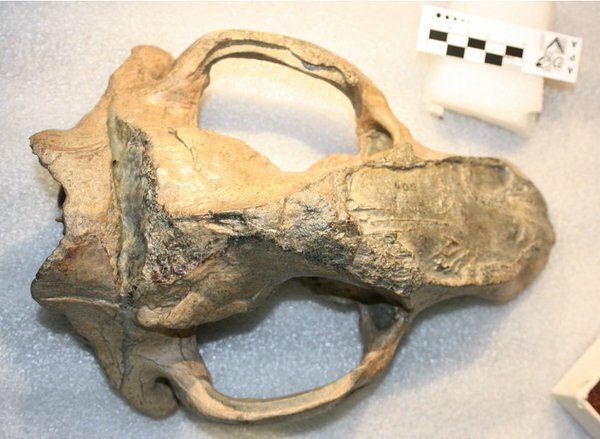 They concluded that "Based on mandibular symphyseal morphology shared by Kolponomos and sabre-toothed carnivores, we hypothesize a sabretooth-like mechanism for Kolponomos prey-capture, whereby the mandible functioned as an anchor. Torque generated from jaw closure and head flexion was used to dislodge prey [shellfish] by prying, with prey then crushed using cheek teeth." So while not closely related to either the sabretooth or to the sea-otter, it combines feeding strategies used by each, but combining them in a unique way. We've got a lot yet to learn about Kolponomos. Almost none of the postcranial skeleton is known, so we don't know what, if any adaptations there are to swimming. It is only a matter of time until the skeleton becomes known. I wonder what surprises await us?